Research suggests that continuously sitting for hours causes diseases like hypertension, Type 2 diabetes, depression, joint pains etc. even if you exercise daily. This portable stand is suitable for homes and offices and is made of solid premium ABS, MDF and Steel components. One can easily adjust the height of their My Buddy X in up to five different levels with the help of an inbuilt hydraulic piston and simple to lift lever. 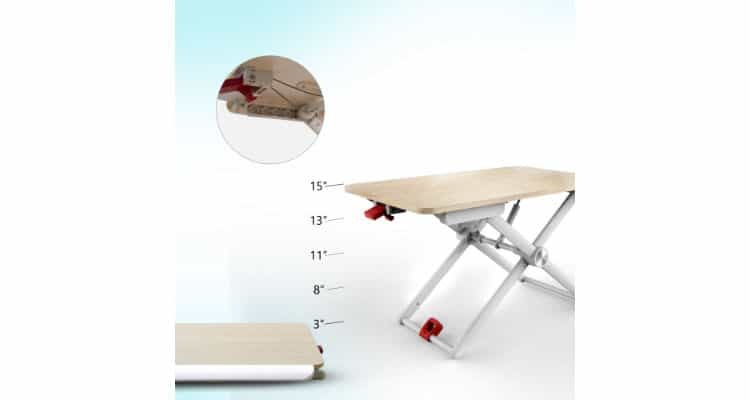 Starting from 3 inches for lowest sitting position up to 15 inches maximum standing position, you can adjust the height depending on your working comfort. Its inbuilt lock helps in positioning My Buddy X as per one’s requirement; the unique front flap is scientifically designed at an angle to keep your wrists in natural curvature while using the laptop. My Buddy X has a sturdy top (approx. 60cm x 40cm / 24inch x 16 inches) which has enough space to keep your mouse and coffee mug. It can carry the weight of up to 20Kg easily and is available in Oak Color. The new Portronics MyBuddy X has an MRP of INR 7999/- and you can buy it for yourself or gift it to your loved ones from Portronics official website or from our offline stores.